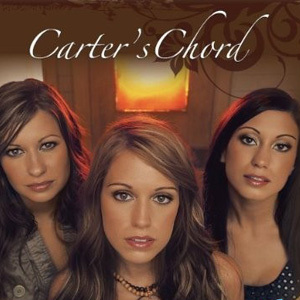 Carter's Chord, as the name implies, is a musical triad of three singing and songwriting sisters who were literally born into and raised on music. Becky, Emily and Joanna Robertson were fatefully immersed in this environment by their parents, Barny and Carter Robertson, who toured and recorded with Waylon Jennings during the height of the Outlaw movement. The trio was signed by superstar Toby Keith to his Show Dog Nashville label. He co-produced the album with their Grammy-winning father Barny Robertson. Carter's Chord's self titled debut album creates a sound born from their many influences yet still distinctly all their very own. It includes songs written by all three sisters individually and collectively, a number penned by their mother, as well as tracks from some of Nashville's finest songwriters, including the debut single "Young Love".